The internal combustion systems (glow engines) and the electric motors. than the batteries used to power the electrics. oil spillage than the electric motors. The four-stroke and the two-stroke. scale-like sound and consume less fuel. more parts to manufacture, they are usually more expensive. are not too difficult to operate and maintain. - Crankcase: which is the main body of the engine and houses the internal parts. - Head: mounted on the top of crankcase. It has fins to provide engine cooling. - Muffler: damps the exhaust noise as it exits the combustion chamber. 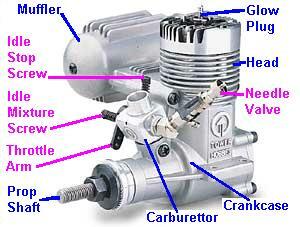 - Carburettor: to control the amount of fuel and air that enters the engine. - Prop Shaft: is a part of the Crankshaft that protrudes from the crankcase. 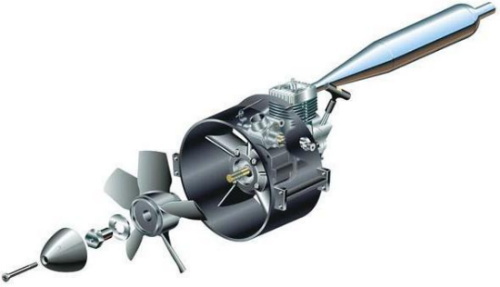 - The Crankshaft transforms the movements of the Piston into rotational motion. inside a sleeve, which is called Cylinder. going to the combustion chamber. speed to be controlled by a servo. far the throttle barrel closes. All glow engines require a special fuel, called "glow fuel." combustion chamber once every turn of its crankshaft. exhaust gases to escape (4th stroke). again, repeating the 1st stroke. rather than a spark plug. combustion without needing the battery. 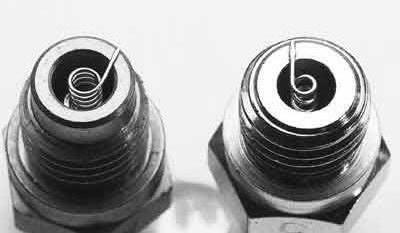 There are two lengths of glow plugs available. 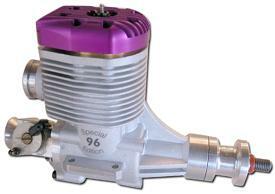 The short ones are normally used on engines smaller than 2.5cc (.15cu in). prevents raw fuel from dousing the heat from the element during idle. which material the glow plug's body is made of. 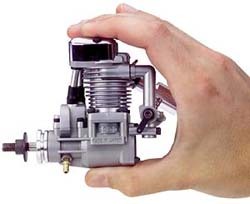 Usually smaller engines and those that run on less nitro prefer hotter plugs. In case of doubt just follow the engine manufacturer's recommendation. disruption of the combustion chamber. 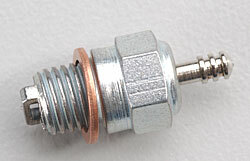 The turbo plug is shown on the left of the picture below. Glow engines may have plain bushed supported crankshaft or ball bearings. longer but are more expensive than those with bushings. two methods: Ringed engines or ABC. Ringed engines have been the main method of construction until recently. It consists of an aluminium or iron piston with a ring moving in an iron sleeve. The ring provides the compression when operating. simply replacing a ring, and are generally slightly cheaper. more easily damaged if the engine is run too lean. where an aluminium piston runs in a chrome plated brass sleeve. have a good life-span and are less prone to damage with a lean run. cylinder allowing more fuel to flow to the combustion chamber. one fuel inlet port on the side of the cylinder opposite the exhaust outlet. The fuel tank size and location affects the engine operation during the flight. "rich" during a steep dive. 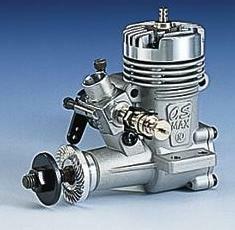 Normal tank size for engines between 3.5cc (.21) and 6.5cc (.40) is 150 - 250cc. so-called Ducted Fan, there a glow-engine drives a fan fitted inside the model. the rear of the model. their efficiency at high rpm. the engine, this arrangement is not recommended for beginners.